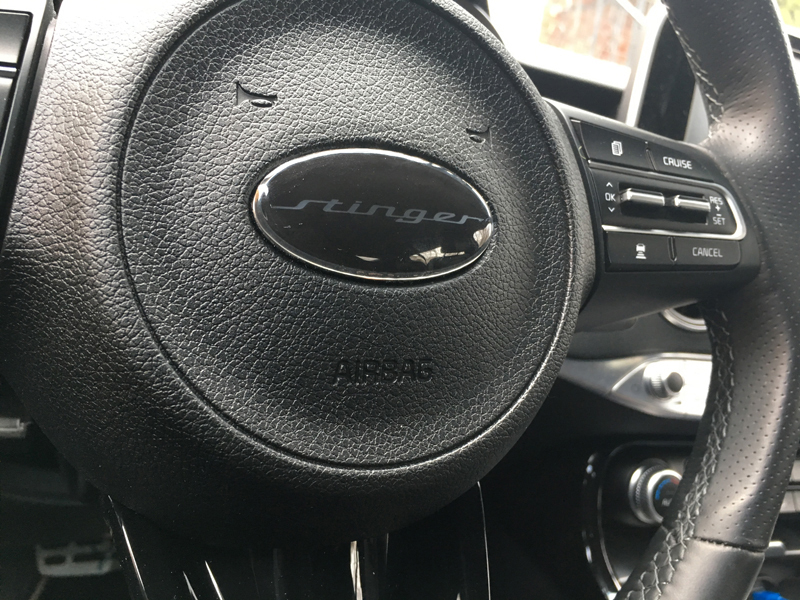 Straight from EVGR Designs, the revised "version-2" Stinger-logo steering wheel badge is specifically made for the Kia Stinger and compatible on any steering wheel that came from the factory with the Kia emblem. Installation with 3M self-adhesive backing directly on top of the OEM logo. 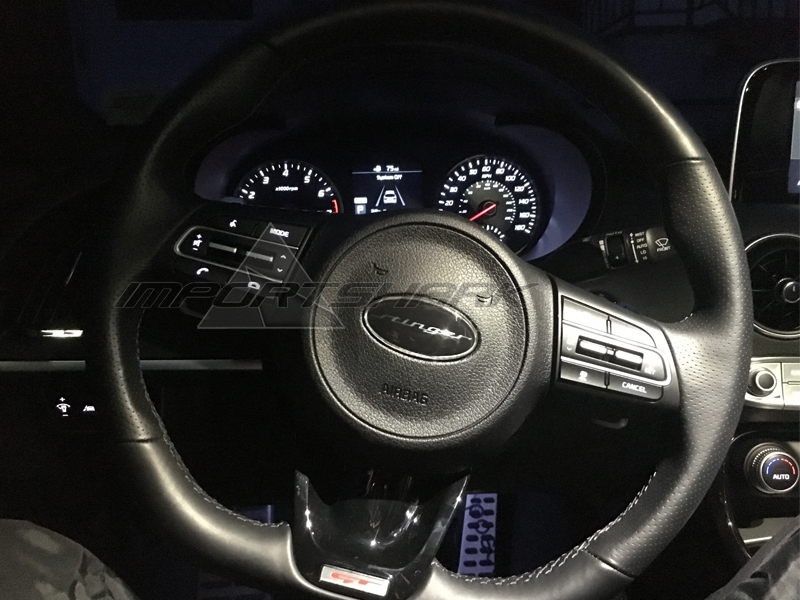 In other words, this is an overlay-type badge, meaning you do not have to remove steering wheel or pry off the original Kia emblem for install--just expose the adhesive backing and stick it on! (Be sure there is a completely clean, dry surface). 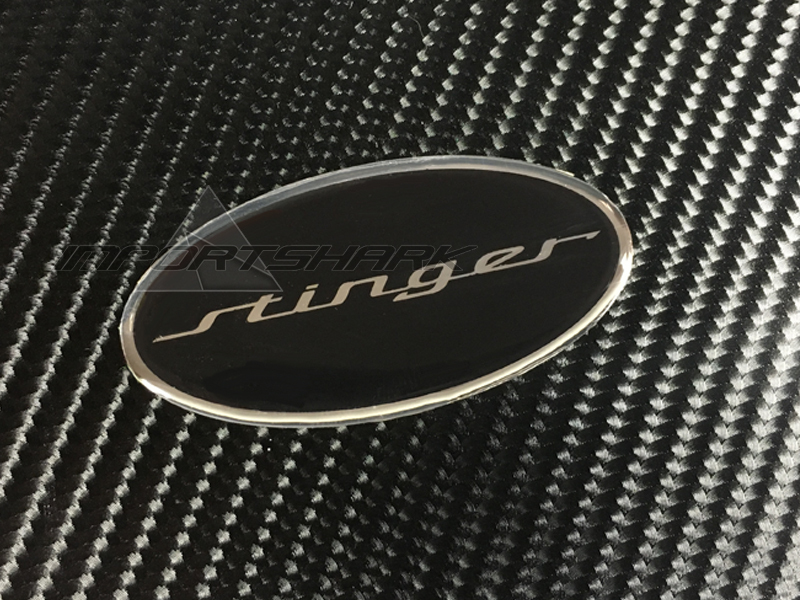 Colors are standard satin black background with brushed chrome (slightly reflective) Stinger font and border. Please be sure to select your shipping destination below. Please note that shipping to Germany and most Middle Eastern countries require upgraded shipping due to issues we have had in the past with postal delivery. If you have any questions or concerns about this, please contact us at sales@importshark.com for further information.